Question: Lyle, what does the science say regarding the proper protocol for carbohydrate loading before a goal endurance event like a full marathon? As usual, internet articles are all over the place: some say 2 days, some a week or more, some say keep calories the same but higher carb percentage, some say to jack it up to 5-7 g/lb…Appreciate any advice! PS – if the answer is “it depends”, please pretend the individual is running 50-60 miles per week with a goal of qualifying for Boston. Answer: Since I’m at a bit of a loss as to what to write about today, I thought I’d get into the mailbag and take what will be a fairly quick and easy one: carbohydrate loading. As usual, I’ll give too much background instead of getting to the point quickly. The concept of carbohydrate loading is fairly simple. First and foremost it’s based on the fact that during fairly intense exercise, fat cannot contribute as much to energy production as most would like (folks spent decades trying to improve this but the fact is that near threshold intensities, carbohydrates are the primary fuel source). At best fat adaptation increased the body’s ability to use fat for fuel at lower intensities, sparing muscle glycogen but it also came with some problems, including the impairment of the use of carbs for fuel (due to some enzymatic changes) during sprint performance. Since real sports have bursts and sprints (in contrast to studies which often use submaximal time to exhaustion), this is relevant. In any case, the concept of carbohydrate loading is that through some types of dietary manipulations, the body’s normal glycogen stores (glycogen is carbohydrate stored in muscle and liver) can be overfilled, like overfilling the gas tank after the nozzle stops. This puts more fuel into the tank. So why is this useful? The basic reason for carbohydrate loading is that when glycogen (carbohydrate stored in the muscle) or blood glucose (produced from the liver) runs out, the athlete bonks. Their intensity drops enormously and performance craters. Fat can only fuel lowish intensity exercise (although this changes with endurance training) and once carbs are gone, the athlete cannot sustain a sufficient intensity for performance. It’s why very long-duration cyclists (think 4-6 hours) usually have to eat on the bike. If they don’t they run out of fuel. Who Needs to Perform Carbohydrate Loading? A lot of people perform carbohydrate loading who really don’t need to. While you will occasionally see it stated that anything over 30 minutes can be limited by carbohydrates, this is really a blood glucose issue. It might be true if you went into the event from a low-carbohydrate depleted state but don’t do that. Generally speaking, it’s only when the event approaches 90-120 minutes of fairly high intensity (i.e. marathon pace is damn near threshold). At that duration and intensity, glycogen can become limiting. Now the world record for the marathon is just over 2 hours but most take way longer than that and it’s actually slower marathoners that are probably more likely to get into problems. The elites might get away with consuming nothing during the event as they finish right before they run out of gas. But it’s close. For a 5k, an event that might take a recreational runner 30 minutes, carb loading won’t help and might hurt (since you tend to gain some water weight). Until you hit 60 minutes or more, don’t bother, just eat normally. I’d mention that carb loading is often used by bodybuilders for various reasons. I used a carb-load phase in my Ultimate Diet 2.o and many use it for contest week to fill out muscles. Whether or not it does anything is debatable as hell with the one study I’m aware of showing no change in muscle size with the strategy (I can’t be asked to find the reference right now). 3-4 days of low-carbohydrate intakes with a ton of training followed by about 3 days of high-carbohydrates. The idea was exactly the above, deplete muscle glycogen with low-carbs and heavy training and then pack ’em in. It looks like my Ultimate Diet 2.0. And it worked with performance improving on a variety of metrics. The thing is, it just destroyed the athletes. The low-carb phase wrecked a lot of them (anybody who has done UD2 knows this) and they were doing a ton of training when they should have been tapering in the first place. It worked but wasn’t workable. So modified versions of carbohydrate loading would be developed and one of them at least was to more or less gradually increase carbohydrates over the final week of training while the taper was occurring. The effect wasn’t quite as pronounced from memory in terms of raising glycogen stores but it was a much easier protocol. But there may be an even better way. Because it turns out that a single high-intensity workout followed by no more than 24 hours of carbohydrate loading can raise muscle glycogen to the same or higher levels than either of the above protocols. I used this approach in UD2 with a single tension workout on Thursday prior to a 24 hour-carb load (I had to to fit the cycle into 7 days) although the original study used repeat 1 minute intervals with 3 minutes rest until 30 seconds of cycling couldn’t be performed. Endurance athletes really only need to fill up the legs so lower body training is typically done; in UD2 I wanted to load the whole body so a full body workout was done. How Much Should You Eat for Carbohydrate Loading? Ok, the final part of the question above, should carbo-hydrate loading be a fixed amount or just keep calories the same and raise percentages? Short version, the first. Percentages are meaningless in the big scheme of things as 70% of 2000 calories isn’t 70% of 3000 calories even if both are 70%. And I’ll explain why this is with another bit of trivia because I can’t avoid talking about the women’s book. One of the earliest gender comparison studies had to do with the topic of carbohydrate loading. In it, male and female endurance athletes were trained and then carb-loaded. Both were told to raise their calories to 75% of their maintenance levels. The women did not carbohydrate load while the men did. This led to the conclusion that women clearly used fuel differently than men and didn’t carbohydrate load. But it wasn’t true. Because when they looked at the data more closely, they realized that, due to women’s lower energy needs, they got less total carbohydrate in terms of g/kg or g/lb. The women got between 6-8 g/kg (about 2.7-3.6 g/lb) and the men got 7.7-9.6 g/kg (3.5-4.3 g/lb). Because 75% of 2000 calories is not 75% of 3000 calories and men, by dint of being larger, get to eat more. And when they repeated the study giving women and men the same total amount of carbohydrate, women carbohydrate loaded although still not to quite the degree as men. So putting women in the 7.7-9.5 g/kg range eliminated most of the difference though a gender effect still appeared to exist. Finally, when they gave both women and men 12 g/kg (5.7 g/lb) carbohydrate, they loaded equally. Basically, it was an amount issue, if women eat as much absolute carbohydrate as men, they carbohydrate load. But this brought up another issue, feeding women the same total amount of carbohydrates as men led to an impossible diet. That is, because they are smaller, women can’t eat as much as men without their diet going awry. The carbohydrates now made up the entirety of their diet more or less or was above maintenance. 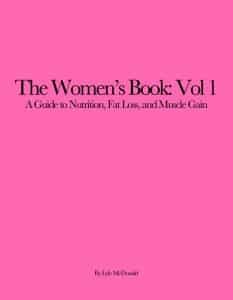 This is an issue women run into where they often have a contradiction between goals of fat loss (which require lowered calories) and sustaining training (requiring adequate carbohydrate). Men, due to having more food to work with don’t run into this as much. This points out why approaches that work for men often don’t for women. But I’m getting off topic. The point of all of this being that it’s an absolute amount of carbohydrates that matters, not percentages. The typically maximal values for whole body muscle glycogen are in the realm of 12-16 g/kg (5.4-7.2 g/lb or a metric assload) but this includes upper body muscle mass. For just loading lower body muscles, 10-12 kg/g (4.5-5.4 g/lb) total carbohydrate is sufficient. Whether or not this is done over several days, 2 days after depletion or 1 day after a short high intensity workout seems to be irrelevant so long as the total amount is hit. The one day high intensity workout is probably the easiest protocol. I’d recommend the following schedule for a Saturday race. *Always always always test this type of thing before the race and NEVER EVER EVER try something on race day you haven’t practiced. But this is a small, easily digestible meal with some carbs and a little protein to top off liver glycogen, have some fluids to make sure you’re hydrated. During the race, drinking water and carbostuff as is possible (and this is far more difficult running than cycling) is not a bad idea. Mainly this is to maintain hydration and blood glucose. By the way, don’t go nuts with fluid. Especially not pure water. Slower marathoners often overdo water and because they are slower, drink so much plain water that they throw off their electrolyte balance and put themselves into hyponatremia Some have died. Faster runners don’t run into this, they aren’t able to drink as much and finish before they have the chance to kill themselves. And that’s a very long answer to a very short question.